<br> Discovery 1 HD1<br> <br> <b>Medium - Heavy Loading</b><br> <br> For use with additional equipment, ie: Winch Bumper / Winch / Roof Rack, and additional baggage. 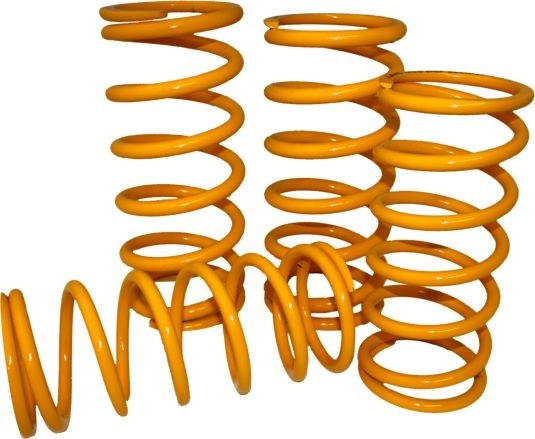 though still having great road handling when loading is not required.<br> <br> Standard or heavy duty all our springs are manufactured in the same way, See Featured List Below.<br> <br> Our springs are, like Land Rover’s, handed to counteract the engine and transfer box being off set and not a one spring fits all, simply because they don’t. <br> <br> <br> We're proud to say our springs are <b>Made in England</b><br> exclusively for Flatdog UK. Our springs are, like Land Rover’s, handed to counteract the engine and transfer box being off set and not a one spring fits all, simply because they don’t.